Cecy: Hello, Sally. Thank you for having me! Cecy: That would be acting out my action scenes. My husband has walked in on me throwing myself on the floor more than once. He once helped me work out a scene where my protagonist, Celia, impales a vampire with a fence post. My husband really got into playing the role of the vampire. Cecy: I have a non-sexual crush on Harry Dresden, therefore Jim Butcher is one of my favs. I love Mercy Thompson’s trials and tribulations―Patricia Briggs really knows how to write beautiful pain. I also just started reading Karen Marie Moning. The woman is amazing. My greatest influence comes from my love of the Urban Fantasy genre. Cecy: Probably finding the time and quiet. I currently work as a labor nurse and I’m also a mother of three busy children. TQ: Describe Sealed with a Curse in 140 characters or less. 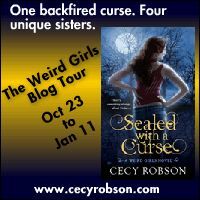 Cecy: One backfired curse. Four unique sisters. The supernatural world is about to get body-slammed. 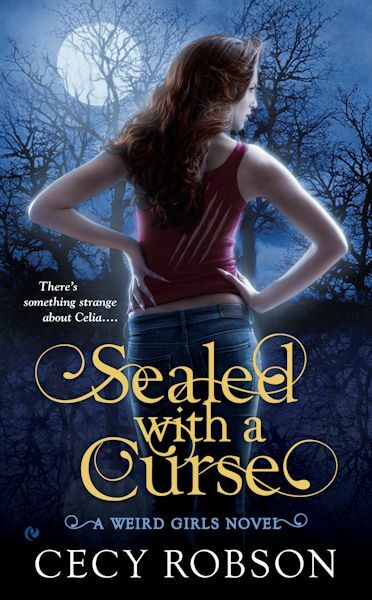 TQ: What inspired you to write Sealed with a Curse? Cecy: Heh, heh, heh. My editor at Penguin, Jhanteigh Kupihea. When my agent submitted the original WEIRD GIRLS novel, she felt too much happened and suggested I take the first three chapters and make that my new book one. That novel turned into SEALED WITH A CURSE. TQ: What sort of research did you do for Sealed with a Curse? 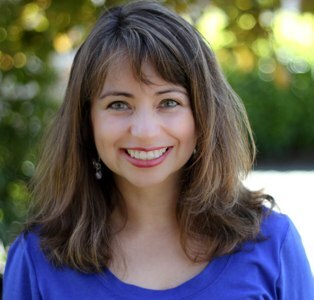 Cecy: I had to learn a great deal about Lake Tahoe region since I’ve never been there―the weather, environment, area restaurants, and tourist attractions. It sounds like a beautiful area. TQ: Tell us something about Sealed with a Curse that is not in the book description. Cecy: The girls are half Latina, half Caucasian, and the cast is multi-cultural. Cecy: Celia is the easiest because I’ve written almost four and a half books about her―so I’ve been in her “head” the most. Gemini, my Japanese werewolf, is probably the hardest since he’s the strong silent type and his creator tends to be a yapper. TQ: Without giving anything away, what is/are your favorite scene(s) in Sealed with a Curse? Cecy: I think I have to say when the girls get a strong dose of what’s happening and finally decide to get involved. It’s a beautiful / sad / tense moment with just them that highlights their fears and love for each other. Cecy: A CURSED EMBRACE releases on July 2nd, followed by CURSED BY DESTINY in January 2014. I’m rewriting A CURSED BLOODLINE, Celia’s fourth novel. 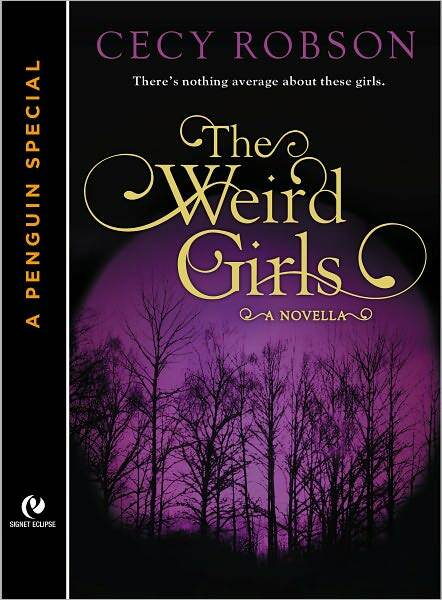 If the series does well, I’m hoping WEIRD GIRLS, Book 5, will be Taran’s book. I’ve also just written a proposal for my OLD ERTH series, a high fantasy category romance my agent will be shopping soon. Cecy: Thank you, Sally. You’re always so gracious. Awesome! Thank you so much, Mel!